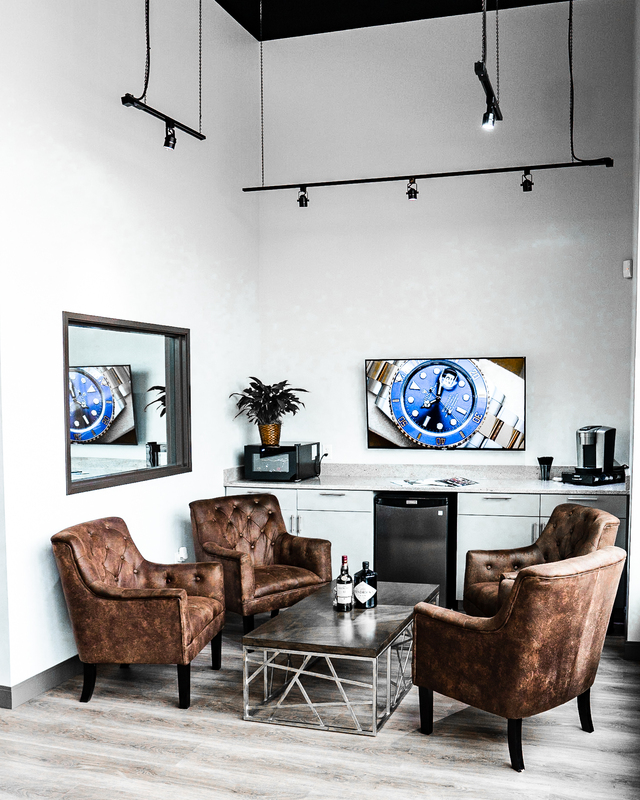 The principals of Noah’s Fine Jewelry, Noah Mackie and J.J. Lastelick, have an extensive background in Fine Jewelry and High-End Swiss Watches. Mr. Gatten also has an extensive career in the jewelry business, with a pre-dominant background in the Buy/Sell, Exchange type format. Having offered his services and expertise to a number of Gold and Silver Exchanges as well as luxury high-end retail businesses, he brings with him almost 30 years of expertise to Noah’s Fine Watches & Jewelry. Mr. Gatten’s primary responsibility is the repair department, overseeing any and all work on the fine Swiss Timepieces and high-end jewelry repair done through our store. Ms. McGuill is in charge of inventory management, as well as marketing and client support at Noah’s Fine Watches and Jewelry. She has previous experience with a top luxury retailer in the area. Mr. Mackie began his career at a high-end “Big Box” jewelry store at a very young age and very quickly exceeded any and all expectations and sales goals. This type of structure, which seemingly viewed clients more as numbers than people, ultimately jaded him. His passion for jewelry and treating customers more as equals and not as sales goals, caught the eye of an independent high-end, Luxury store who quickly snatched him up. It was there where he met J.J. Lastelick and his eyes were opened to a much more efficient way to operate in this “retail” space. Noah’s Fine Watches & Jewelry is predicated on offering the highest quality pieces at the most transparent prices. All the while, aggressively buying any and all jewelry pieces, watches, diamonds, etc. over the counter. Mr. Lastelick has an extensive background in the high-end luxury jewelry space, having worked with many of the top names in the Dallas area over the last decade. Mr. Holbeck has an extensive background in the luxury jewelry space. His career has spanned several luxury businesses, getting his start as a sales associate for Ben Bridge Jewelers, then moving up to Assistant Manager at Bailey Banks and Biddle and then serving a 5-year stint as General Manager for Bailey Banks as well. He then took a position at Bachendorf’s prior to being named Director of Sales as well as Luxury Timepiece Manager at Markham Fine Jewelers. He has been a top producer at every business he has served.